Jesus called His followers light and salt, encouraging them to impact culture and share the gospel of salvation with all men. All believers are commissioned to make disciples of Christ. Well, by many accounts the light in America is pretty dim and that salt has lost much of its taste and seasoning. 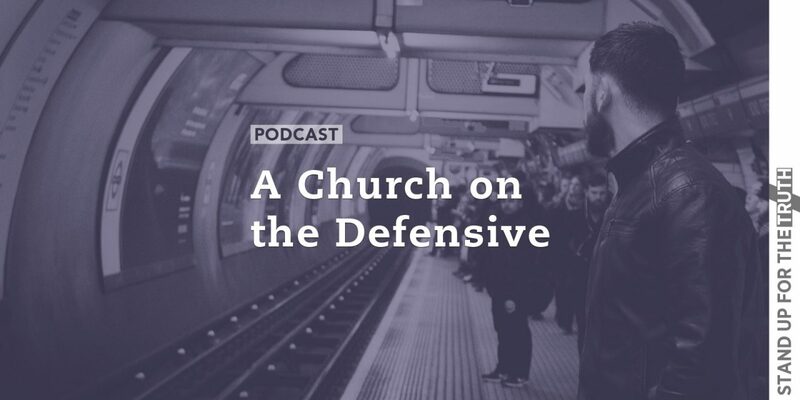 This morning we look at another Christian survey as well as some disturbing news on just how far many professing churches and leaders have fallen. Some are deceived while others are deceiving people into moral relativism, false teachings, and abandoning the truth of God for the faulty wisdom of man. Christian churches should be affecting secular culture. Instead secular culture seems to be infecting many churches. *We were not able to connect this morning with scheduled guest, William Murray of the Religious Freedom Coalition so we will be rescheduling with him. The Islamic Society of North America, started by the Muslim Brotherhood, has been advocating the Shoulder to Shoulder Campaign. The movement since 2007 has been urging Christian leaders to sign a deceptive document titled “A Common Word Between Us and You.” He explains that according to Islam, a “common word” refers to the Quran – and the Quran alone. The term “evangelical” is taken from the word evangelize, but it turns out that most who claim to be the former don’t really do the latter. Veteran pollster George Barna finds that just 25 percent of self-described Christians even think that it’s part of their job to share their faith. Even among those that are willing to share the gospel with others, Barna’s research found, nine out of ten share things that are not grounded in scripture – such as people are basically good, it doesn’t matter what you believe as long as you really believe it, or you can be saved by doing good deeds. “It really becomes kind of a mish-mash of ideas from the Bible but also from pop-culture, and from other faiths,” Barna observes. “So that when people are receiving the gospel, it may have nothing to do with what Jesus’ life, death and resurrection actually was all about. What about the idea of being a “silent witness” for the Christian faith? First with her actions and now with her words, a former gospel singer has clearly demonstrated her animosity and bitterness toward the faith of her childhood – and that’s sad, says a Christian apologist. “When I was growing up homosexuality was synonymous with the word ‘abomination,’ and [the word] ‘hell’ – a place of gnashing of teeth, continuous burning of skin ….